Chatting about your diverticulitis isn’t exactly party talk. 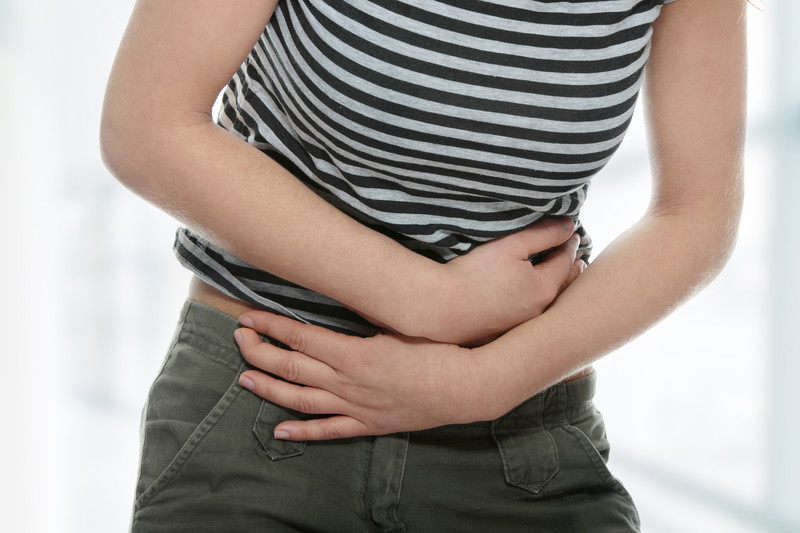 This unpleasant condition, which occurs when tiny pouches inside the large intestine become inflamed, can cause intense lower abdominal pain, diarrhea, constipation, a fever, and sometimes a good deal of rectal bleeding. Following a liquid diet for a while can help treat it, but antibiotics, and sometimes even surgery, may be needed. In recent years, hospital admissions for elective surgery for diverticulitis have increased 25% to 30%. But these treatments for diverticulitis may be overused, according to a study published in JAMA in 2014. University of Michigan researchers reviewed the results of 80 studies of diverticulitis and its treatment. While the team agreed that antibiotic use and surgery are sometimes necessary, it concluded that there should be a lesser role for aggressive antibiotic or surgical intervention for chronic or recurrent diverticulitis than was previously thought necessary. “Likewise, some people need surgery, especially if they’ve had two episodes of diverticulitis in a six-month period,” says Dr. Greenberger. He feels the study isn’t clear on how many people who received surgery had recurring bouts of diverticulitis. In other words, treatments for diverticulitis need to be individualized. It’s also helpful to learn more about diverticulitis, because, while not entirely common, it happens to be the end stage of a common condition known as diverticulosis, which a third of all American adults have and likely don’t even realize. You have diverticulosis if you have diverticula, pouch-like structures that form in the muscular wall of the colon. They’re usually harmless. In some people, though, the pouches become inflamed and infected (called diverticulitis), or they may bleed. How often does diverticulosis morph into diverticulitis? Thankfully, not often. A recent study in Clinical Gastroenterology and Hepatology found that it happens only about 4% of the time. That contradicts prevailing thinking that 10% to 25% of people with diverticulosis go on to develop diverticulitis. We don’t know who will develop diverticulitis or a diverticular bleed, but there are some factors that increase the odds of that happening. One is age: 70% of people age 80 and older have the condition. Other risk factors include obesity, a lack of exercise, and a diet low in fiber. Will exercising, controlling your weight, and eating a high-fiber diet prevent diverticular disease? Possibly, but there isn’t yet convincing proof of it. But we do know that diet plays an important role in colon health. It brings relief from constipation, better cholesterol control, and makes for more filling meals that help you maintain a healthy weight. How much fiber should you aim for? Adults should get 25 to 30 grams of dietary fiber every day. It’s best to get it from high-fiber foods, such as beans, whole grains, vegetables, and fruits. If you can’t get that amount from food, talk with your doctor or a nutrition professional about taking a fiber supplement. Add the fiber gradually, since adding it to your diet too fast can cause gas and bloating. Sugar is another big culprit. It plays a part in symptomatic diverticular disease and may mimic irritable bowel syndrome. “I can’t tell you how many patients with irritable bowel drink two to three cans of cola a day,” says Dr. Greenberger. More fiber can also bring relief to a condition with symptoms similar to diverticulosis and diverticulitis called myochosis, which is part of the spectrum of diverticular disease. It’s a thickening of the circular and longitudinal muscle layers of the colon and is often responsible for lower abdominal pain, passage of pencil thin stools, and pain with defecation. You can read more about improving digestive health in Dr. Greenberger’s book, 4 Weeks to Healthy Digestion: A Harvard Doctor’s Proven Plan for Reducing Symptoms of Diarrhea, Constipation, Heartburn, and More, or in The Sensitive Gut, a Special Health Report from Harvard Medical School. Both publications can help you feel better. And that will give you something to talk about at your next party. I do think it might claim myself within the proper way. Based away of which analyze I wish to offer this normal water a go, could everyone advise this? In any other case, please express the reason why. I eat a lot of the vegetable that were mentioned at the end of the article. I was astounded that these may be causing some problems. This article was an eye opener in the fact that I may be seeking treatment soon. I really don’t want to experience the side effect of an aggressive treatment if it isn’t necessary. post I think it would say me in the right direction. Based off that study I want to give this water a try, would anyone recommend this? If not, please state why. Healthy foods can be culprit in some certain diseases. While fiber is good for our health (as some researches said), on the condition of diverticular too much fiber can be so harmful. After understanding the symptoms and knowing what foods to avoid, listening to your body is an important thing you should do. Your body will honestly tell you when you should stop eating a particular food or instead, need to have more. Seeing a doctor is a good idea, but none understands your body better than your own. I really didn’t know anything about the condition until I read this article. Thank you for the heads up!! If you feel the pain in diverticulitis one can just lie down on the bed and use a heating pad..that alleviates the pain. I have been researching treatments for my gout which I think is very similar to diverticulitis. I heard from a friend that drinking ionized water is beneficial for the stomach for things like acid reflux. Upon further investigation I found one site with links to many medical articles on the water. In particular what interested me was a study which stated that electrolyzed reduced water benefited the anaerobic microflora in the intestines. I am interested in what others may think of this. I am really thinking about using this water to see if it can alleviate my condition.If I could get some comments from others and their thoughts or the author of this post I think it would say me in the right direction. Based off that study I want to give this water a try, would anyone recommend this? If not, please state why.